For a smart casual ensemble, wear a Ted Baker London Fooreal Trim Fit Sport Shirt with a dark green wool blazer — these items play really well together. If you're in search of a casual yet on-trend look, team a Ted Baker london fooreal trim fit sport shirt with grey chinos. Both pieces are totally comfortable and will look great paired together. When it comes to shoes, this look pairs nicely with brown desert boots. 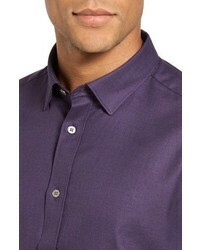 If you're in search of a casual yet dapper look, team a Ted Baker London Fooreal Trim Fit Sport Shirt with white chinos. Both garments are very comfy and look stunning together. 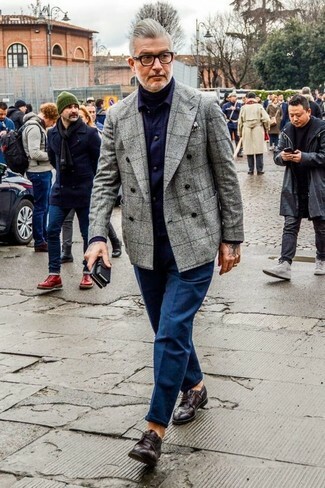 When it comes to shoes, this look is round off nicely with red plimsolls. If you're a fan of relaxed dressing when it comes to fashion, you'll love this stylish pairing of a Ted Baker London Fooreal Trim Fit Sport Shirt and burgundy skinny jeans. 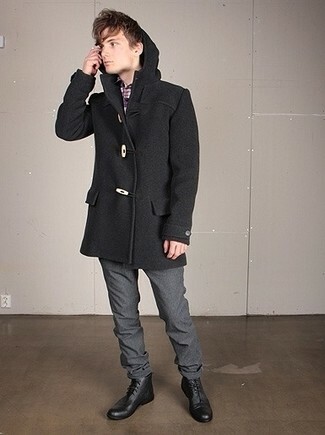 A pair of dark brown leather brogues will bring a strong and masculine feel to any getup. 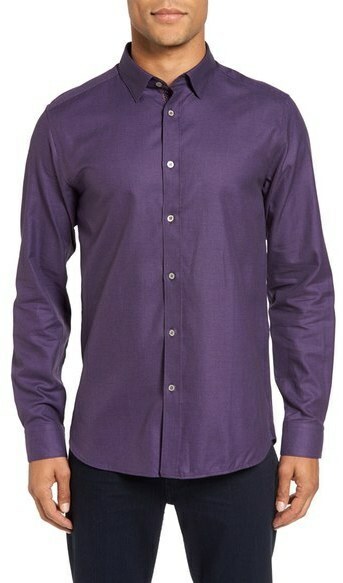 For a nothing less than incredibly stylish outfit, reach for a Ted Baker violet long sleeve shirt and grey wool dress pants. Show your sartorial prowess with a pair of black leather dress boots. 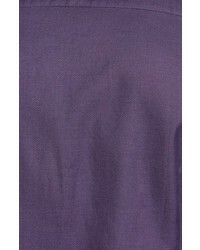 If you're searching for a casual yet seriously stylish outfit, wear a violet long sleeve shirt with navy chinos. 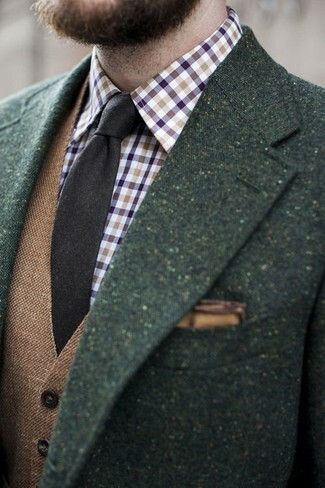 As well as totally comfy, these items look great together. To add elegance to your look, complement with dark brown leather derby shoes. If you're looking for a casual yet stylish outfit, try teaming a Ted Baker London Fooreal Trim Fit Sport Shirt with brown chinos. These two items are totally comfortable and look amazing when worn together. 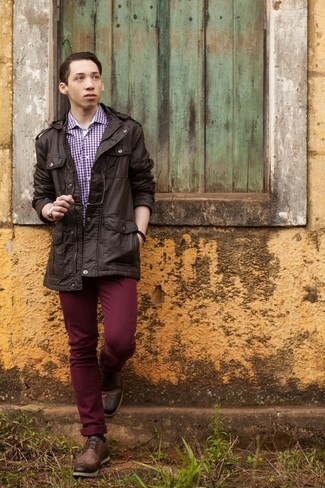 A pair of red leather brogues will bring a strong and masculine feel to any getup. If you're in search of a casual yet stylish outfit, consider teaming a Ted Baker london fooreal trim fit sport shirt with red chinos. Both pieces are totally comfortable and will look great together. 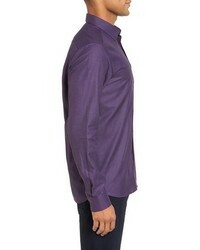 If you're searching for a casual yet sharp ensemble, pair a violet long sleeve shirt with navy chinos. As well as totally comfortable, these pieces look great together. Add a glam twist to your ensemble with brown leather oxford shoes.